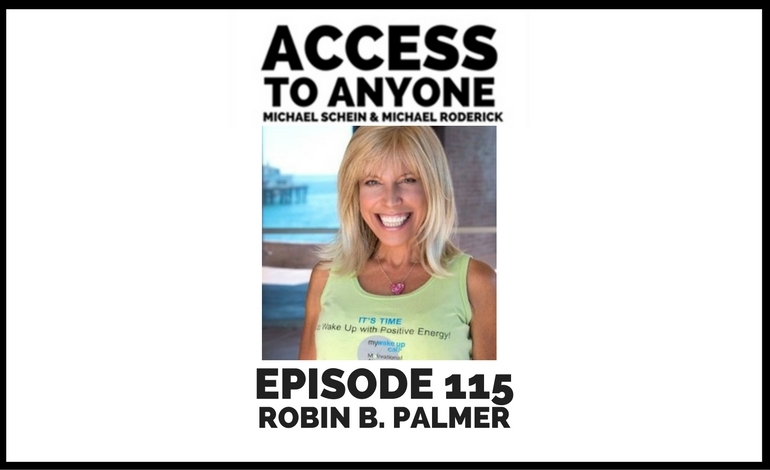 Today’s guest is social entrepreneur and serial inventor Robin B. Palmer. Prior to her career as a serial inventor, founder, and entrepreneur, Robin B. Palmer starred in Broadway musicals for 15 years as Robin Boudreau. She played Linda Ronstadt’s sister in The Pirates of Penzance, co-starred with David Cassidy in Joseph and the Amazing Technicolor Dreamcoat, and sang “Memory” in CATS. Licensed by Audible, Robin invented My Wake UP Call® Motivational Alarm Clock® Messages & My Good Night Messages™, which has 100 hours of patented digital content with the Dalai Lama and other experts who wake you up to live your dreams instead of “alarming” you. Robin’s new invention is FlyteBike™ Portable Pedals, the world’s first portable exercise pedals. At 3 pounds, FlyteBike folds flat, comes in it’s own case, and attaches to your seat for travel stability. Robin is also a sought-after speaker, and has recorded two original song albums, Grace Place and My Inspirational Lullabies, for dreamers of all ages.